Best Friends has always believed that collaboration with local pet shelters and animal rescue organizations, the people who know their community best, is key to ending the killing in America’s shelters. When we work together, we save more lives. Together, we will Save Them All. 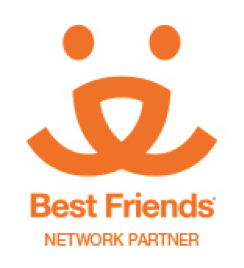 ​ Baywater Animal Rescue is proud to be a Best Friends Network Partner.